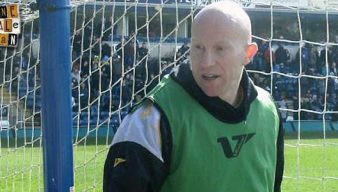 John McCombe was a powerful defender who joined Port Vale on a free transfer from Hereford United. He played a part in the 2013 promotion before leaving for Mansfield Town. 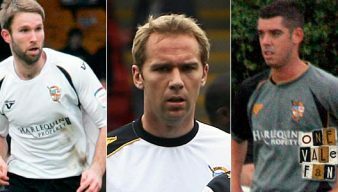 In a story chock-full of Vale connections, former Port Vale defender John McCombe has moved from Macclesfield Town to Chester. 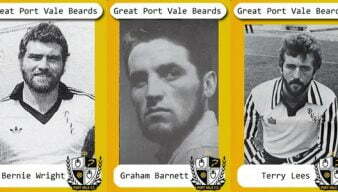 It’s set to be another busy summer of player moves and here is a brief update on the fortunes of some former Valiants. York City have signed former Port Vale defender John McCombe on a two-year contract. 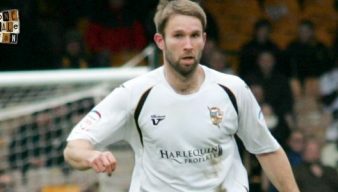 The official Mansfield Town website is reporting that former Vale defender John McCombe has left the club by mutual consent. Departing defender John McCombe has told the official Port Vale website that the Vale supporters were “absolutely amazing” during his five year spell at the club. 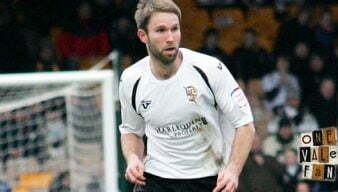 Central defender John McCombe has left the club by “mutual consent” Port Vale FC have confirmed. Vale will assess the groin injury suffered by centre-half John McCombe ahead of their trip to Rochdale. Manager Micky Adams has told the Sentinel that there is no “guarantee” that fit-again John McCombe will return to the side on Saturday. Vote: Who should partner Purse? There has been much debate over the best defensive partner for Darren Purse this Saturday – so have your say and vote in our poll. Central defender John McCombe could be in contention for a first-team recall after he played 90 minutes for the Vale reserves. Central defender John McCombe will start for Vale reserves on Tuesday as he nears full fitness following his medial ligament injury. Experienced central defender John McCombe could be ruled out of action for “at least six weeks and possibly more” according to the official Port Vale website.